Say goodbye boring tortilla and potato chips! 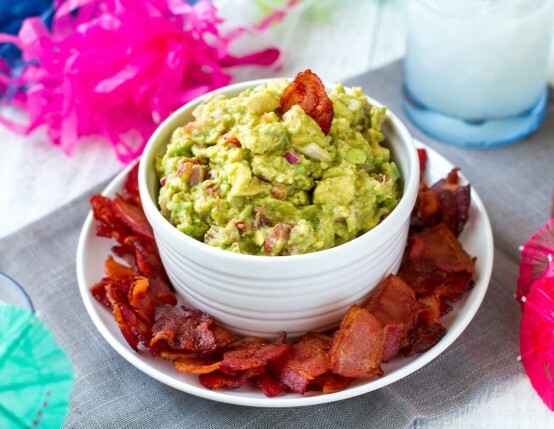 These crunchy and delicious bacon chips will reinvent the way you snack and enjoy guacamole. 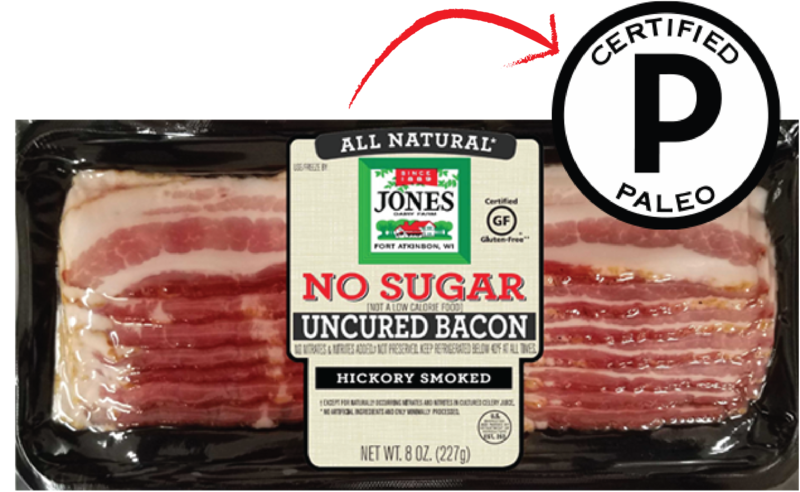 This recipe is made with Jones No Sugar Hickory Smoked Dry Aged Bacon. Preheat oven to 375°. Line baking sheet with parchment paper. Lay bacon pieces in single layer on pan. Bake until bacon is crispy, approximately 10 to 12 minutes. While bacon cools, prepare dip. Cut avocados in half, removing pits. Scoop avocado flesh into large bowl. Immediately add lemon juice, hot pepper sauce, onion, garlic, salt and pepper and toss well. Using sharp knife to slice through the avocados in bowl until they are finely diced. Add tomatoes and mix well. Bacon chips are now a go​-to in our house! So easy to make and really delicious!